SCCi is the world's largest land conservancy solely dedicated to cave and karst conservation. The Board of Directors provides strategic oversight for the organization including stewardship of 31 cave preserves, responsible planning for future acquisitions and the management of over $2 million in assets. Currently, SCCi has a 5-year strategic plan which provides for the future growth and direction of the organization. You can read a summary of that plan by clicking here. The following should be reviewed before deciding to run for the a board seat. Must be willing to actively serve a full 3-year term, if elected. Must know and support SCCi’s mission and strategic plan. Must acknowledge the accountability, legal liabilities, and possibility of exposure to litigation while serving as a Director. Must acknowledge that as a Director they will be considered ambassadors for SCCi and will be viewed as such by everyone. Individual actions will reflect on the SCCi as a whole. Must recognize the cost, both in time & money, associated with board service. Examples may include telephone expense, property research, and travel to attend meetings and events. Must have email capability as much of SCCi business is conducted outside of scheduled meetings. Beneficial to have attended previous Board meeting(s) to see how SCCi conducts its business. Beneficial to possess knowledge, skill, and experience with financial matters for running a business. Being able to understand the nuances of the annual operating budget, the balance sheet, and the income statements prepared by the Treasurer is critical to the continued success of the SCCi. Beneficial to possess leadership experience obtained from either career venues or from serving in leadership roles in organizations outside of work. 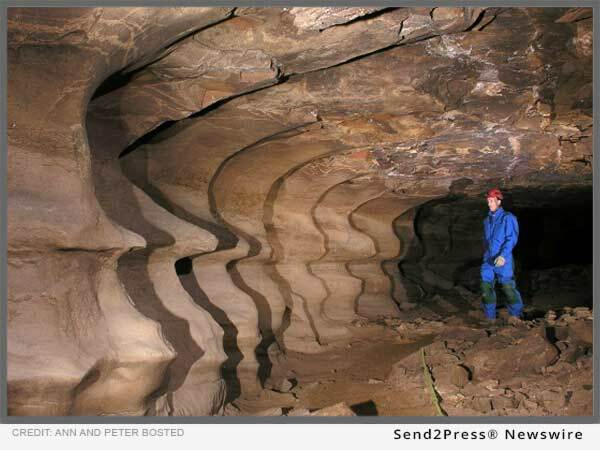 Should possess an overall understanding of conservation challenges associated with caves and karst properties. Support the SCCi financially according to your individual means. Realize that fundraising is a major activity of SCCi. Board members are expected to take an active role in fundraising and seeking donations. July 19, 2017 Elections Open (A voting link will be emailed. If you do not have an email address on file or your email bounces, you will be mailed a notification postcard to the address on file). On Friday, April 21 2017, we announced the purchase of the Daleo Entrance to the Roppel section of Mammoth Cave, the longest cave system in the world. The land surrounding the entrance, now named the Elroy and Marilyn Daleo Cave Preserve, is one mile east of Mammoth Cave National Park and protects 88 acres of classic karst on the Mammoth Cave Plateau. The Daleo Entrance is now the only entrance to the Mammoth Cave system outside the national park owned by a conservation organization. The preserve includes a number of caves, most notably the Daleo Entrance to the Roppel section of Mammoth Cave. The Daleo entrance is a significant portal into much of the cave system, and its acquisition is important in the overall goal of protecting the unique resources of the longest cave on earth. SCCi would like to recognize the National Speleological Society (NSS) for its gift of $5,000 toward the purchase of the Elroy and Marilyn Daleo Cave Preserve. The NSS is a non-profit organization dedicated to the exploration, study, and protection of caves and their environments, and foster fellowship among cavers. Those interested in supporting the Elroy and Marilyn Daleo Cave Preserve acquisition and stewardship, can do so here: http://scci.org/daleo. As part of National Park Week, SCCi held a formal announcement at the Mammoth Cave National Park Visitor’s Center. The Cave Research Foundation (CRF) hosted a reception and meet & greet with SCCi following the announcement. Each year we open Frick's Cave for ONE DAY ONLY for our members and their guests to enjoy as our way of thanking them for their membership and support. From the intersection of GA 136 and GA 193 (between LaFayette and Trenton, GA), go south on GA 193 2.1 miles to Harold Stephens Road. Turn right. Continue until you dead end into Frick's Gap Road. Turn left. Follow this road to the signs for the open house parking. As we approach the end of the our 25th year, we are starting to think about what 2017 will bring for us. It was a great year for SCCi in 2016. We stepped it up a notch with events, marketing, fundraising, outreach, and overall publicity. We also started hearing from more of our volunteers. It was wonderful to see what the power of volunteering could do for events such as Bats, Beer, & Bluegrass and the TAG Fall Cave-In. We anticipate more outreach to our volunteers and Preserve Managers in 2017, and hope to hear from each of you. Below is our 2017 calendar so that you can save the date for many of your favorite SCCi events throughout 2017. Keep your eyes open here and through our social media outlets for more SCCi initiatives, goals, and updates. Without you, our supporters and volunteers, we couldn't move forward with our mission of conserving the caves of the Southeast. SCCi's First Online Auction Is Live! SCCi's first ever online auction is up and live! We have a lofty goal of $2500 and we KNOW we can do it! Our items are either hand-made or extremely unique and would make great gifts for the caver/art lover/nature lover on your Christmas or holiday gift list. Many thanks to everyone who contributed items; Bob Biddix, Glen Mills, Carolina Payne Shrewsbury, Mel Eady-Pumplin, Tim White, Bill Halliday, Jody Bailey, Kelly Smallwood, Jean Rush Huffines, Nathan Williams, and Eugenia Johnston.